One of the most popular attractions in Prague is the Astronomical Clock "Show". Every hour the clock chimes, music plays and figures dance around the dials. Tourists flock to the square during this time and create a mob around the clock, sometimes so thick you can barely see much of anything. They are usually all so loud too that you can't even hear the music play. Wait a few minutes after the show has finished. Moments after, all the tourists flutter away and you'll be staring up at this work of art almost all by yourself. If you've come to Prague to study the incredible art and architecture, skip watching the show in person - videos of it can be found easily on youtube, and spend your time up close and personal when the bucket listers have left. Karlova Street starts right behind the Hotel Aurus and ends at the foot of the Charles Bridge. Although the buildings which adorn the street have stunning baroque facades, this once historic street has been overtaken with cheesy souvenir shops selling silly tchotchkes from China at engorged priced. There are so many people in Prague trying to take advantage of the many tourists who come here that even the most Czech looking souvenir on this street is no doubt from overseas. The architecture is not worth the hubbub and you end up fighting your way through this densely frustrating street to even see much of anything. There are so many more lovely buildings you'll see in other, less well-known areas of the city, so don't feel like you're missing out. Head down to Havel's Market. This is the oldest market in the city, dating back to 1232. 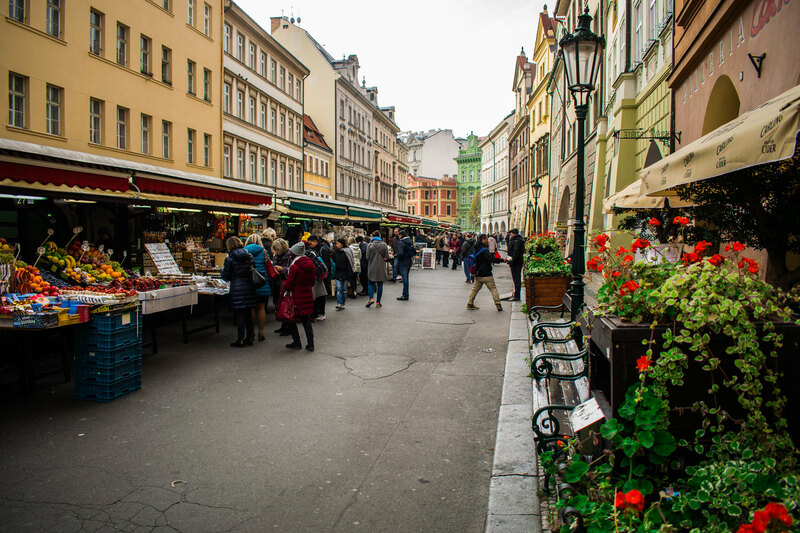 Although it originally only sold produce to feed the people of the city, in later years it has begun to sell souvenirs and other handmade Czech goods from local artisans. This is where you can come to find a traditional souvenir for friends or family back at home which you can proudly boast is "made in Prague". But be sure to taste test some of those amazing fruits and veggies too! Until I had been to Prague I had never had any issues at restaurants while travelling so I didn't think twice when I was given two welcome drinks I didn't order. I thought they were merely a gift from the restaurants and would be free of charge. Boy, was I wrong! Luckily they only cost 3 euros so it wasn't like it broke the bank but I felt so stupid and taken advantage of. This is, unfortunately, a pretty common scam in Prague, especially in popular tourist restaurants. If your server comes to your table and doesn't even offer you the drink, just puts it down, be assertive and call him back to take it away. Study you bill upon leaving and don't pay for anything you didn't order. The staff will usually back down instantly once they realized they've been caught since they're going for the easy mark. They'll usually say it was merely a mistake and take it off your bill without any drama. Visit restaurants outside the city centre where these scams aren't an issue and where you'll find more authentic and traditional meals. Taxis are another common scam in Prague. Catching a cab outside popular tourist areas or from the train station means leaving yourself vulnerable to dishonest drivers. Almost none of them use the meter, even the reputable companies, and when you arrive at your destination they seem to make up a fee out of the blue which is often far, far more than you were originally quoted. Many tourists will find it hard to argue when it's their word against the drivers and will simply pay the fare and be on their way. If you have a Czech SIM card or have a good international plan on your phone and can access the internet, and take advantage of UBER which has recently launched in Prague. This means you can check your fare before the cab arrives and you won't be charged a surprising amount once at your destination. We used this a lot while we were there and had absolutely no issues! The Charles Bridge is one of the most iconic images and sights in Prague. And while I would never say to skip it all together, during the afternoon, this bridge is PACKED! Almost to the point where you can barely see anything but people! There is so much to look at and admire on this bridge and being overwhelmed by tourists isn't the experience I'd want you to have your first time here. During the afternoon, use one of the other bridges to the north or south and nab yourself a beautiful picture of the Charles Bridge and the Prague skyline all in one. During the early morning or evening, the bridge is much less full and you can take the time to appreciate the beautiful statues and architecture which makes this bridge so iconic. 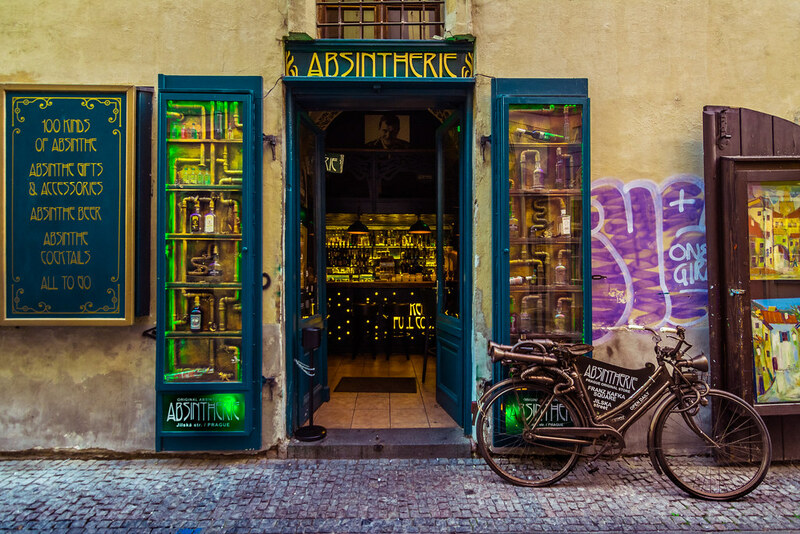 Walking down the cobblestone roads of Prague you can't help you notice the dozens and dozens of signs for Absinthe. Absinthe was originally produced in Switzerland but became popular in France during the 18th century. Absinthe became a popular drink in Czechoslovakia in the early 1900s but the kinds of Absinthe you see in bars today is far from the real thing. Often you'll even see it spelt "Absinth" without the "e", since it's missing the key ingredient to make it authentic absinthe. Most places don't serve it the way it's meant to be drank, resulting in a horribly bitter taste. 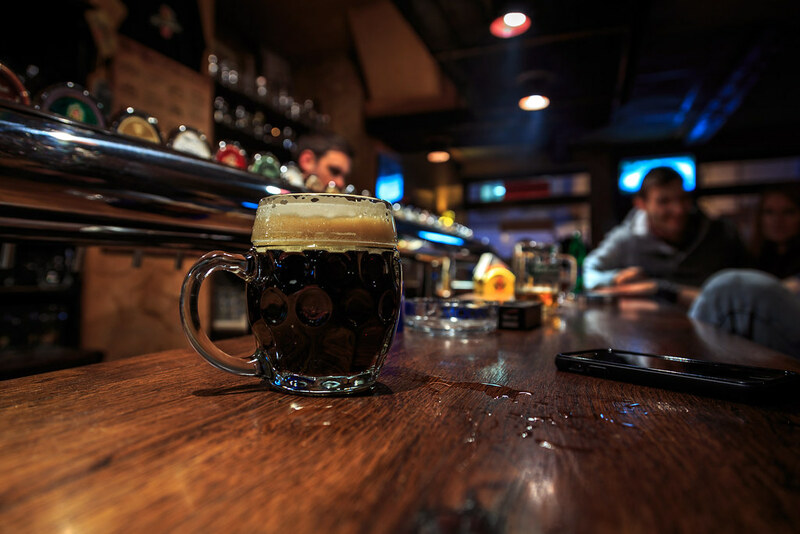 While there are some bars which still offer the traditional serving, it's better not to risk it. Indulge in the local spirits like plum or pear brandy or the dozens and dozens of cheap, local beer! These will often be half the price and more than twice as delicious! The "trdelnik" is a chimney-shaped pastry, coated in butter and cooked on a rotating spit over a charcoal fire. Then they are covered in your chosen topping like cinnamon sugar, nuts or Nutella. They are instagrammable and frankly, delicious, but they are NOT Czech. They are originally from Slovakia and arrived in Prague when the packs of tourists did. Don't go around eating them day in and day out, saying you're sampling local cuisine! Head to a mom and pop bakery where you can sample different traditional pastries for what ONE trdelnik would cost you. And without waiting in a long line too! They are just, if not more, tastey and will open your taste buds up to flavours you've never had before! The #22 tram is notorious for having pickpockets. 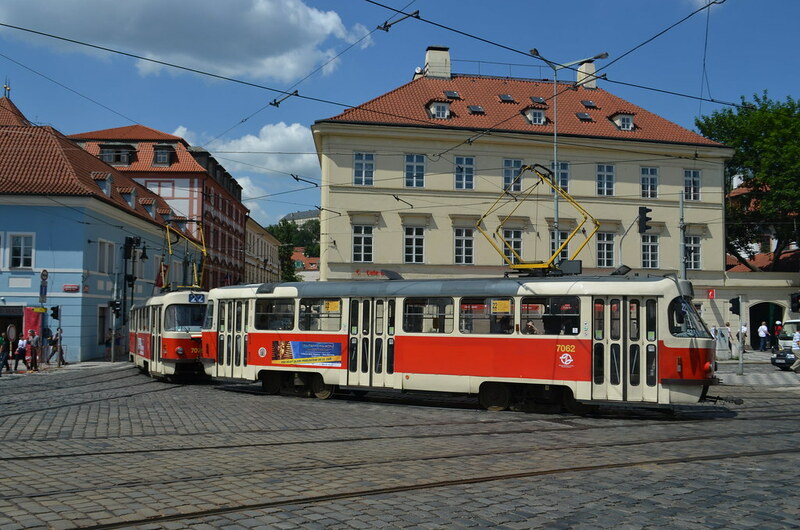 The #22 is the route most tourists take since it runs around the old town and drops you off at all the big ticket attractions. Since there are so many tourists on these trams, often crammed inside, it's easy for pickpockets to spot their mark and do the deed without being noticed. If you do take a ride, be vigilant and hold onto your belongings in front of you so as to not be robbed in plain sight. 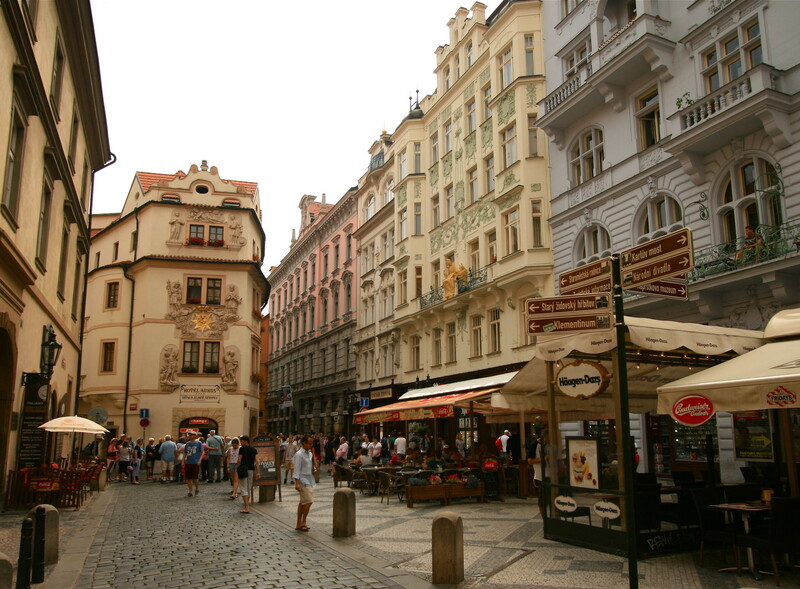 Prague is much smaller than you might think and the best way to see it is on foot! While keeping your wits about you is another great tip if you find yourself riding the tram, walking allows you to wander off the set path and explore whatever catches your eye! Plus you'll save a little bit of money which can be better spent on a cold beer to end a long day! Wenceslas Square is one of the most historic areas of the city. This enormous square hosts some of the most incredible bohemia architecture and was the place of many revolutionary events in Prague's history. During the day it is filled with happy locals and tourists alike enjoying public spaces but at night it's a different story. This place attracts swarms of bachelor and bachelorette parties. They are often very drunk and disorderly and the best thing to do is to avoid them altogether. Drunken tourists seem to bring forth the darker side of the city. Prostitutes and scammers are known to frequent the square in the hopes of taking advantage of these tourists with their guards down. 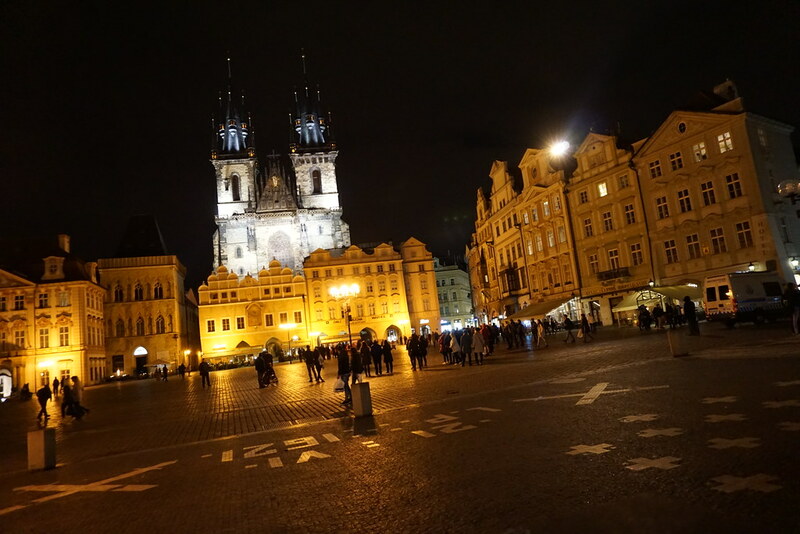 If you're looking to take in the sights of a Baroque city lit up at night, head down to Old Town Square. The restaurants around the square are to be avoided due to their high costs and low quality but their presence brings lots of life to the square even at night meaning its a very safe place to explore. And when all those buildings are lit up they seem to emit an ethereal glow. Segway tours have become an epidemic throughout Europe. And the locals despise them. Segways are "two-wheeled, self-balancing personal transportation vehicles". They rush along the sidewalks at speeds which are quite dangerous to pedestrians especially when the riders might not be too experience or even perhaps under the influence. Often you see tourists spending more time trying to figure out how to use these vehicles than spending time enjoying the sights. Be kind to the people who call this city home and don't take a ride on these dangerous machines. If you're looking for a different kind of guided tour, don't go for the Segways. Try out of Foodie tour where you explore the city through its culinary culture. Or try Urban Adventures's retro bike tour where you can ride on bikes which were made in communist Czechoslovakia and see the best Prague has to offer to boot. Although Prague does accept Euros, they are exchanged in most establishment at a much lower exchange rate than if you were using the Czech Koruna. 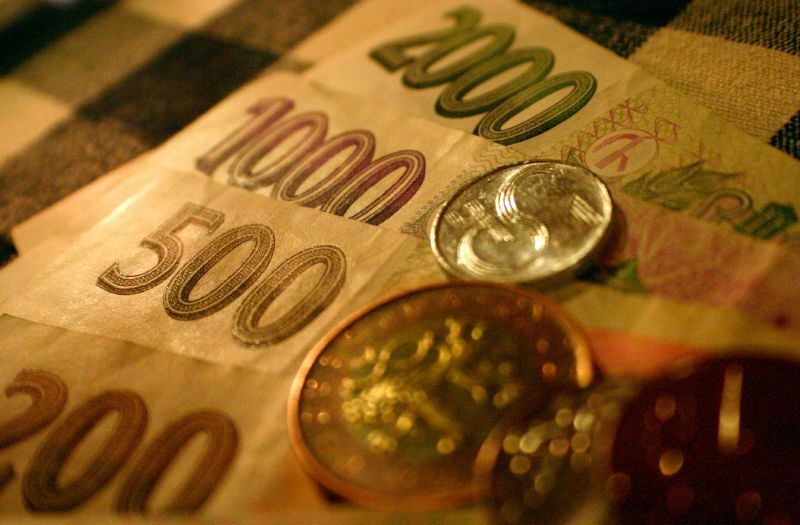 If you have Euros and you're hoping to exchange them for Czech Koruna's you'll find yourself at the mercy of one of Prague's popular scams. Many "exchange" bureaus around old town aren't actually official money exchange businesses and will give you immensely lower rates than official exchange. These places have been known to list one rate on the signage outside but once you come inside they change it without you noticing. Another common scam is the people exchanging money on the street. These are full on rip-offs as these vendors will give you fake currency instead of real Czech Korunas. Stick to ATMs. 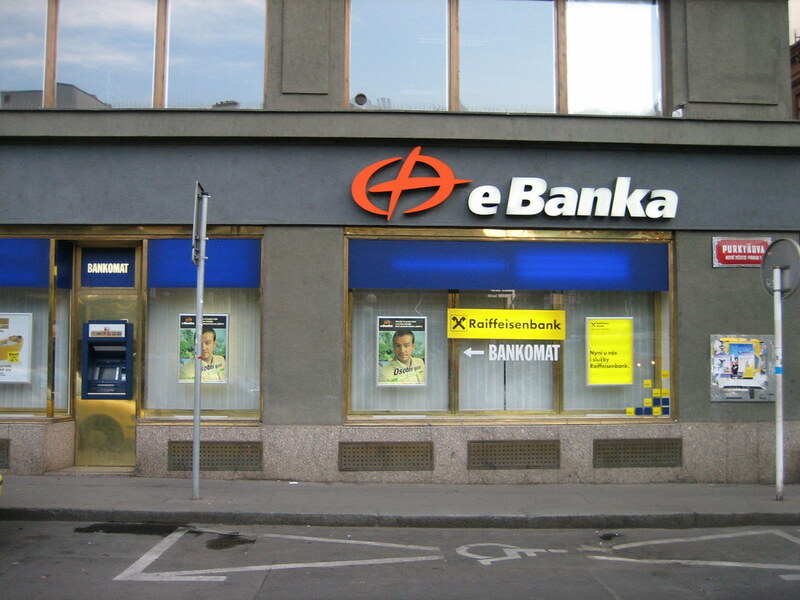 The best way to get Czech Koruna is either to bring it with you from your bank back home or to take money out at a reliable ATM whose brand name you're familiar with. Yes, this means you'll have to pay some bank fees but it is definitely the easiest and safest option. All over old town, you'll see signs advertising "Historical Car Tours". 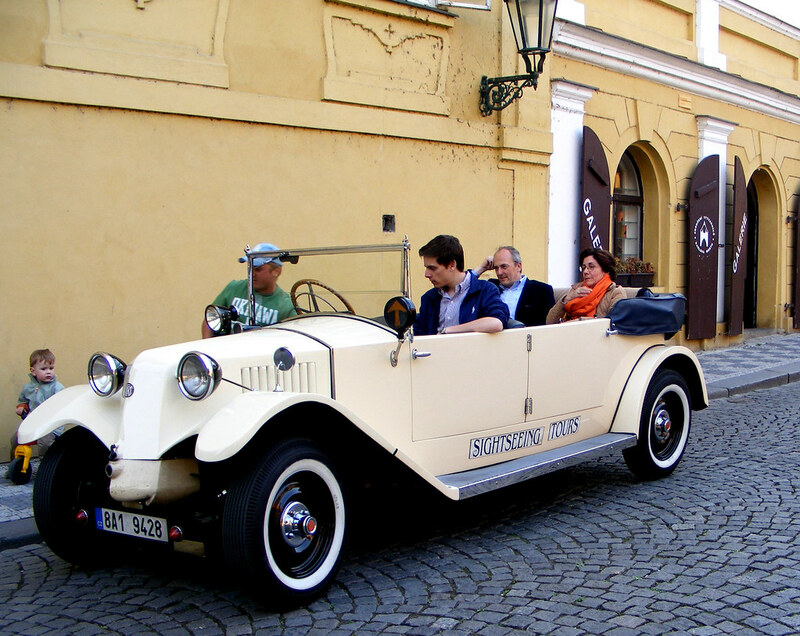 For 60 minutes and around 120 euros, you'll be driven across the historic areas of Prague with a driver "guide". These guides often barely speak with the riders and since the cars are all open tops, it's very hard to hear what they're saying anyway. The "historic" cars are anything but. While they might have been given the appearance of a vintage car, they are mostly brand new replicas. Since, as we've mentioned before, Prague is a rather small town, it's extremely easy to visit on foot and by only sticking to the main roads you're going to miss so much of the magic. If you're interested in learning about retro cars, head to the Trabant Museum. 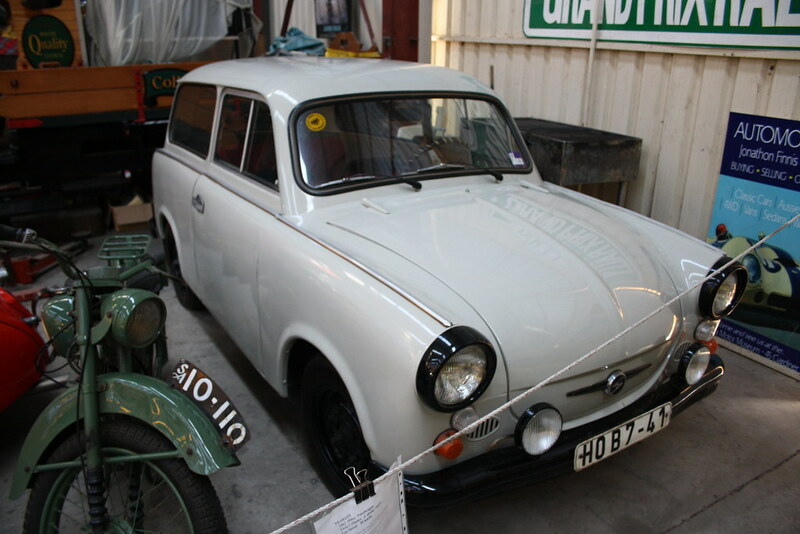 The Trabant was a car made in East Germany in the 1950s. The museum is small but full of interesting facts, tchotchkies and real cars from this short-lived era of auto manufacturing. Trabant enthusiasts from Prague loved racing these cars and their devotion to this model grew into the museum you see today. Old Town Square is one of the most beautiful parts of Prague. And so many of its buildings, statues and museums require your undivided attention. But what doesn't are the subpar, kitschy and unremarkable restaurants which line the bottom floor of the square. These restaurants also charge about three times the price of meals you'd find in other restaurants well outside the Old Town Square and the waiters are usually pretty grumpy since they deal with tourists all day. If you're looking for a wonderful traditional meal, avoid any tourist centre. Look for menus with NO ENGLISH listed on the signs outside. I know this might sound intimidating but trust me, once you get inside they often do have one or two menus in English or the kind waiters will be more than happy to help you order the chef's specialities. In establishments like this you'll find better food, better prices and amazing service! Locally produced beer in Prague is wonderful, fresh and it SHOULD be cheap! If you find yourself at a restaurant paying over 4 euros for Pilsner Urquell, you're overpaying. Urquell is a great benchmark for judging the fairness of the restaurant you're dining at. Speciality microbrews will, of course, run you a little more but should never be over 6 Euros for a pint. If you're looking to sample a fair few of Prague's best beers, you should definitely visit the Prague Beer Museum. Don't' let the name fool you, it's no museum. It basically a giant pub serving hundreds and hundreds of different brews. Knowledgeable servers and staff can help you find the best brew for your tastes at reasonable prices and a stunning environment! Don't let these warnings scare you away from this incredible city. There is a reason so many people flock here. Prague is truly unrivalled in terms of beauty and character. And while there may be people who come here to take advantage of unsuspecting tourists, armed with this knowledge in advance, you'll be no easy mark. You'll be able to make your way across this marvelous city without a care in the world outside of saying, "I don't want to leave."